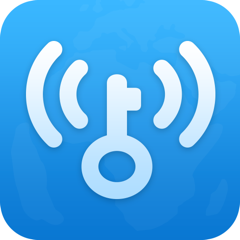 WiFi Master Key is a tool to help users connect to the Internet through shared WiFi access shared by hotspot owners. As the first defense gateway for users to access the Internet, WiFi Master Key is committed to providing users with secure Internet access. After the user accesses the WiFi hotspot, the WiFi Security Cloud Awareness System developed by WiFi Master Key will perform a hotspot security detection to determine if there is an ARP attack or DNS tampering and if the hotspot is a fake or phishing WiFi hotspot. WiFi Master Key also scans the hotspot historical data using big data technology to help users predict hotspot risks and provide users with pre-connection prevention and connection protection services. WiFi Master Key follows the ISO27001 security standard to establish its internal information security management system and establishes a direct channel for user security insurance claims* and the WiFi SRC Security Response Center* to achieve real-time risk response and management. *WiFi Security Insurance is currently only available in China.